Cultivating children’s minds for a better tomorrow. 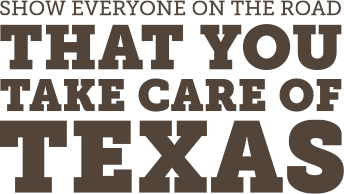 In this section, you’ll find high quality, FREE resources to help make your job easier and teach students how they can do their part to Take Care of Texas. We encourage you to order our printed materials for your class, school, or event. Project interactive activities and PDFs on your classroom whiteboard. Download ready-made lesson plans, many of which are aligned to TEKS. Use the interactive content to complement your classroom lessons. Get ideas and resources for making your school eco-friendly or hosting service projects. Check out all the links below to learn about all the resources available for you—the hardworking educator!